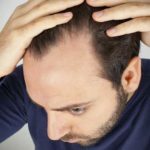 You cannot deny the assertive factors of hair loss that can cause anxiety, frustration and lack of confidence in a person. 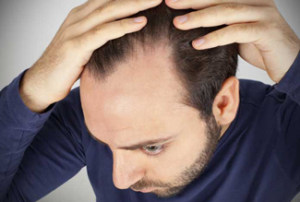 Premature hair fall is the considerable concern in majority of people. 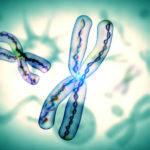 There can also be several medical conditions and diseases that damage hair in one or other way, causing them to fall off. • Weakness/Inappropriate Diet- Due to the lack of nutrients or essential proteins, a person can easily get prone to hair related problems. Weight loss is one of the symptoms of poor diet which make the hair and body of a person impuissant. • Pharmaceuticals- Some particular medications can also become the matter of hair fall. The persons (especially women) may have to face the consequences of hair loss if they start/stop taking certain medicines abruptly. • Dandruff Issues- Improper hair care, dryness, dead skin cells, yeast allergy are the factors that can cause dandruff; and people dealing with these issues are more prone to hair fall problem. • Serious Illnesses– There are serious concerns like diabetes, psoriases, thyroid etc, which can affect the circulation system of the body. These diseases also restrict certain body parts like scalp, toes of feet to get enough amount of nutrients & oxygen. As a result, the person starts losing hair. • Oil Massage: To provide the proper nourishment that your scalp requires, you should do regular oiling. Olive oil, castor oil, almond oil and coconut oil are available in the market with great benefits. Oiling not only prevents the hair fall, but it also encourages the new hair growth; thus resulting into thicker and longer hair. • Healthy & Appropriate Diet: Improving your dietary habits is the most beneficial hair loss prevention tip. For getting the right amount of nutrition as per your hair necessities, you can consult with some of the good Dieticians/Consultants. They will guide you about the ways to fulfill your nutritional requirements. • Proper Shampooing & Conditioning: In order to eliminate the dirt and dead skin cells, you need to be very careful about choosing the right shampoo and conditioner as per your scalp conditions. • Yoga & Meditation: The ultimate ways to heal many problems including hair loss/hair fall, is to adopt the habit of regular Yoga, exercise and meditation. • Herbal Supplements: With no doubt, the herbal supplements are beneficial to beat the hair fall concern and you can easily get these supplements at the online stores. Some of the herbal oils that we’ll suggest here are Chamomile oil, lavender oil and lemon balm oil. 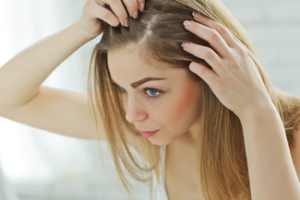 As women are more concerned about their looks and personality, here we are providing them the detail analysis of hair loss experience in women and the efficient prevention ideas. Above are some of the remedies by which you can get healthy hair without spending much amount of time & money. 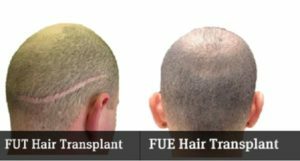 But there are also some cases of baldness, which are difficult to handle with the help of these remedies and can only be treated with the ultimate solution- Hair Transplant Surgery. Though it is an expensive option but it is most effective as well. It will definitely boost up the self-confidence of a person. You should opt for First Choice Hair Transplant & Cosmetics clinic if you want to get the international standards of hair loss treatments.